Milan is one of the most important cities in Italy with regards to it history and culture. Milan is full of beautiful and impressive buildings that have diverse architectures. One can see structures from old Neo-classical Milanese palaces to ultra-modern towers and office blocks. There are a lot of important business centres in the city. Milan is also the home to Italy’s stock market. Throughout the world, Milan is famous as the leader in fashion and design. There are a lot of shopping opportunities is the city, especially in the Golden Quad area. The streets of the Golden Quad area have a number of fashion houses. By taking advantage of great prices for car rentals it is easy to navigate the city and explore everything this wonderfully vibrant region has to off. Teatro alla Scala is a very large opera house in Italy that was built in 1776. After being bombed in 1943 it was rebuilt three years later. There is a theatre museum here, which was built in 1913. In the theatre museum, there are a lot of sculptures and fine paintings. The La Scala's Ballet School is also located here. This ballet school has taught a lot of famous ballet dancers. On 7th December, Teatro alla Scala comes to life when it is the traditional opening of the opera season. The Galleria Vittorio Emanuele is a large arcade, which has a lot of shops and bookstores. There are also some exquisite restaurants and famous cafes. The arcade was constructed in 1865. Tourists in Milan are attracted here by a high glass dome and beautiful mosaics on the floor. The Meazza Stadium was built in 1926 and it has been rebuilt and renovated a lot of time since then. It is Italy’s best stadium. The stadium is named after Giuseppe Meazza; he was a famous footballer in Milan. The surrounding district is called San Siro and the stadium is sometimes called as the San Siro stadium. Leonardo da Vinci designed it, but he did not construct the stadium himself. The Cimitero Monumentale covers an area of more than 250,000 square meters. The cemetery has a lot of shrines and tombs made the very famous sculptors. The main attraction at Cimitero Monumentale is a house of fame, which is also called Fameido. A lot of renowned people have been buried at the Fameido over the years. Car hire can come in handy when visiting the fabulous Italian lakes. Lake Maggiore is the second largest lake in Italy. It has a maximum depth of 370 meters. There are a lot of attractions including three islands and an old fisherman’s village. When traveling to Italy we advise to carry some Euros with you to avoid any unwanted surprises. At Milan Railway station you can find Money Exchange offices in order to change your local currency. The local time code for Milan is CEST. When traveling to Milan make sure to check the local weather conditions in order to avoid any unpleasant surprises. Milan has approximately 1,369,000 inhabitants. Milan Central Railway Station is a popular rent a car destination, there are many car rental companies in Milan Central Railway Station with a wide range of different car categories. Many of our clients have rented a car in Milan Central Railway Station and had good experiences. Do not wait with booking your car for Milan Central Railway Station before you know prices will go up and the availability will get low. Rentalcargroup is a price comparison website for all mayor and smaller car rental companies in Milan Central Railway Station which means we can offer you the best car rental deals. Please be advised that prices and car availability constantly changes, therefore the longer you wait with reserving your car, the more expensive it gets. Last month, the average car rental length in Milan Central Railway Station was 3 days. The average rental car length in Milan Central Railway Station is 4 days. The most booked rental car type currently in Milan Central Railway Station is INTERMEDIATE cars. Last year, the most booked rental car type in Milan Central Railway Station were ECONOMY cars. How much does it cost to rent a car in Milan Central Railway Station? Last month, the average car rental price was 199 USD. Last year, how much did it cost to rent a car in Milan Central Railway Station? Last year, the average car rental price was 134 USD. 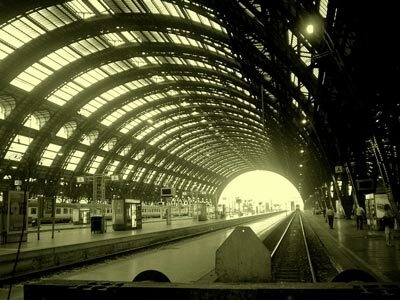 What is the current average daily price to rent a in Milan Central Railway Station? Last month, the average rental price was 71 USD per day. How much did it cost to rent a car in Milan Central Railway Station over the past 12 months? Last Year, the average rental price was 32 USD per day. The car rental companies available in Milan Central Railway Station are: Alamo, National, Maggiore, Joyrent. See below last 5 customer reviews. Our customers rated Milan Car Rental with an average of 8.00 based on 2 ratings. When arriving in milan, italy, we didn't have a clue as to where the car rental office was located. we spent 20 minutes at least trying to find it. finally, we asked a police officer and he pointed us in the right direction. the location of the rental office should be placed in the e-mail confirmation to avoid our predicament.